All-season safety and confident handling combined in a tire that lasts. Tough tires that keep your business moving. Maximum value for your fleet operating needs. Goodride Tires: Go with Confidence! When it comes to producing quality tires that meet or exceed today’s standards, Goodride knows the name of the game. Goodride tires are tested to the limit worldwide, tackling the most demanding routes in Australia, Europe, North America, Asia, and Africa. Since its inception in 1958, the company has been expanding its tire knowledge and manufacturing experience, having eventually turned into a force to be reckoned with on the global tire market. 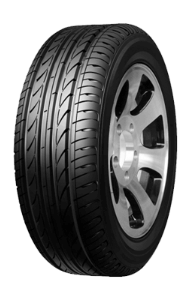 Goodride tires are made by ZC-Rubber, which is one of the Top 10 tire manufacturers in the world. 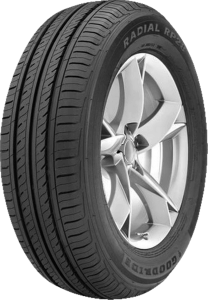 The tires by Goodride are manufactured in award-winning facilities and approved by the international and location-specific organizations, including the U.S. Department of Transportation (DOT) and the Economic Commission of Europe (UNECE). The company has an international Research & Development team, uniting efforts and expertise to better meet the needs of customers from every part of the world. With over 20,000 employees, 10,000 dealers worldwide, and tens of millions of tires produced annually, it is a global tire manufacturer with worldwide recognition and a proven history of customer satisfaction. Goodride produces an extensive range of tires, including truck & bus, 4×4 & SUV, commercial tires, and many others, all engineered to provide reliability and value. Review the catalog at our official website to find the tires designed specifically for your application that will meet your exacting standards. From all-steel AT tires for trucks and buses to high-performance tires that will roll your race car to victory, all Goodride tires are made to outperform. Whether you’re on your daily ride to work or going on a long trip, a good set of tires is essential for the safety of you and your family. Featuring an irregular and multi-pitch pattern design, our car & minivan tires provide great turning traction, while significantly reducing noise. Due to the slender bladed sipes, our best-selling SPO6 tires deliver enhanced driving stability and ensure optimal ride comfort. Featuring an aggressive tread design, our SUV & crossover tires can overcome the toughest obstacles. They’re meant to provide upscale high speed stability and great handling performance thanks to innovative solutions. For instance, our top-rated SV308 series adopted silicon dioxide technology to replace the traditional carbon black, resulting in increased traction and shortened braking distance. 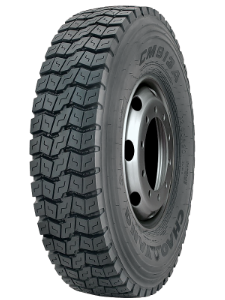 Goodride commercial tires are specially designed for every type of terrain, including mud, rock, or gravel, to improve the efficiency of your business transportation. Offering tires for agricultural and industrial needs, as well as skidsteer and solid tires, we aim to help you get any tough work done. Thick and robust design. Excellent steering performance. Enhanced traction and grip. Optimal durability. On a race track, your main concerns are control and handling. To ensure exceptional performance, strong grip, and agile handling, we have created our line of high-performance tires for your racing car. Exceptional pattern design provides low rolling resistance and reduced noise, so your high-speed experience will be not only breathtaking, but also safe. On a cold winter day, when the ground is fully covered with snow, extra traction and reliable braking capability is what you need to stay safe on the road. Our winter tires feature a tread design with biting edges allowing for excellent grip with any extreme icy or snowy surface. Ensuring precise handling and outstanding cornering in any conditions, these tires are meant to impress you. With Goodride truck & bus tires, your every trip will be safe and comfortable. We deliver off-road tires, all steel OTR tires, all steel truck & bus radial tires, bias light / heavy truck tires, light truck radial tires, each tire offering superb traction, enhanced cut and puncture resistance, and better grip. No matter whether you’re hauling a trailer with your truck or transporting lots of passengers on a bus, our tires will reliably perform their duties.